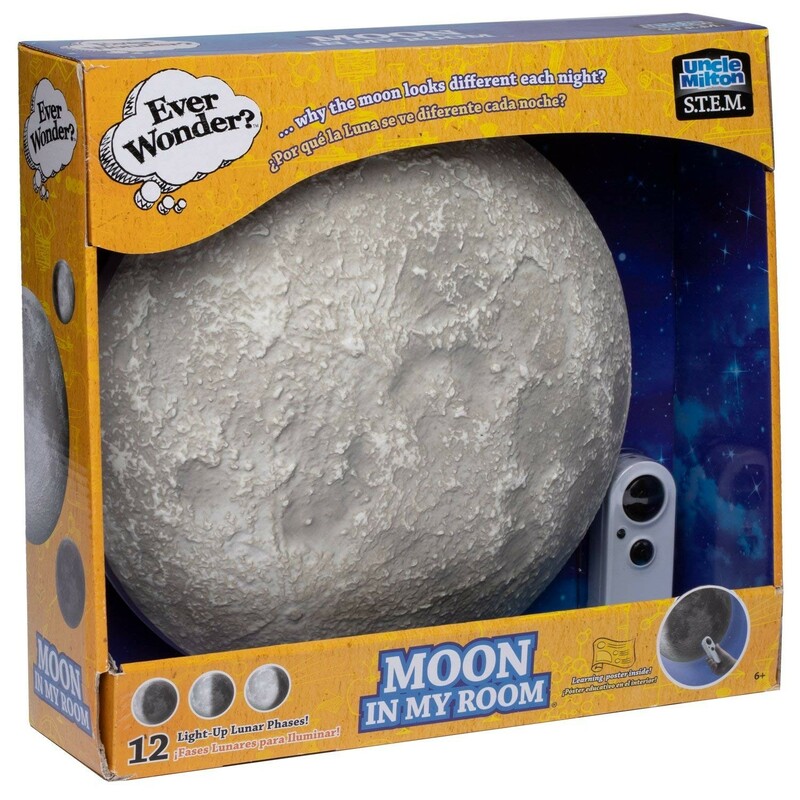 Uncle Milton's Moon in My Room features rows of lights that glow softly behind the detailed lunar surface. 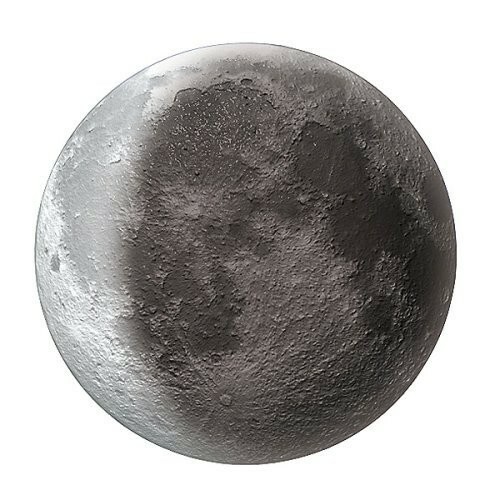 The lights are specially arranged to mimic the phases of the moon, going from a new moon to full moon and all the phases in between. Included is an infrared remote that lets you control your moon model from across the room. 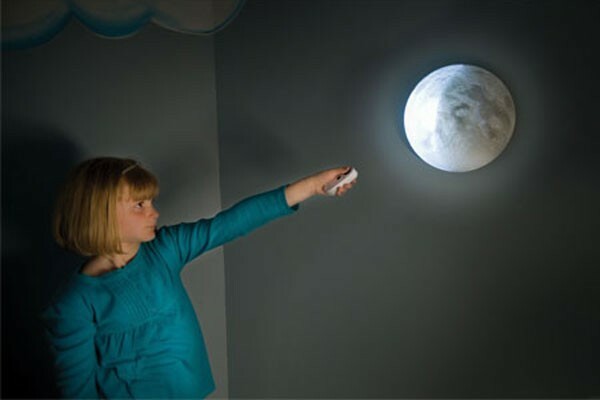 The remote features buttons to turn the lights on or off, trigger each progression of the moon's phases sequentially, or set it to slowly cycle through each phase automatically.